KIRANG is a Korea street fashion & KPOP IDOL Fashion & Seleb fashion item shop. We promise you a 100% safe shipping. ※We are sharing our stock with other shops. It might be out of stock by the time you order. ※If the product you have ordered is out of stock, you can either cancel your purchase or convert your purchase to KIRANG points, which can be used on our site just like cash. ※To ensure safe delivery, we have careful inspection procedures before we send off the product, and we make sure this procedure has been completed. connect and transact in new and powerful ways, whether they are online, on a mobile device, in an app, or in person. 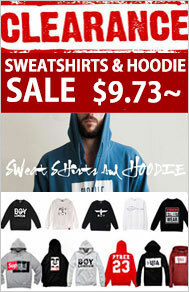 • We suggest you to use Paypal system that is safe and fast shipping. •When you use the Paypal system, the shipping address and Paypal informations must be same and consistent. ○When using credit card, you need to check the following or contact the card company for more details. If any of the above is applicable, please try again. 1. We have the product on stock and can be sent to you on the day of your order. 2. The product is in local inventory shops and will arrive to us ready for delivery with in 2 to 3 days. 3. The product is in foreign inventory shops and will arrive to us ready for delivery with in 7 to 14 days. ※ If you order multiple products, since each product can take different amount of time to be delivered, we will deliver everything to you all at once; once the last product is ready to be sent. Therefore if you order multiple products, there may be a delay in the delivery. 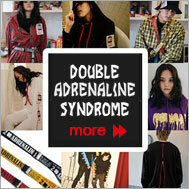 ※ If you wish for each product to be delivered to you separately, please let us know beforehand. 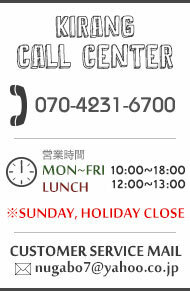 ※ In addition, depending on the delivery company we use, the time it takes to delivery the product to you may vary. --->However, countries like the US, Australia, and Canada does not provide any tracking information regarding the package, therefore you can only use K-packet light (tracking and checking the delivery signature is not allowed) instead of K-packet. 1. we are on vacation (temporary, New Years, summer vacation, etc). 2. There is congestion in delivery or severe weather conditions. 3. If there are issues with customs of national regulations depending on your country. * If there is additional taxes to pay depending on your country's regulations, it is up to you to pay these. All items are checked carefully before it is sent off, however since the machines make these items unfortunately some items may have problems in their fabric during the weaving procedures. However if there is an overall problem with the product's quality, this item won't be sent to you. In addition, even the same items may have differences in its size or shape depending on it's production date or color, however if the differences are too big they will not be sent to you either. Synthetic materials such as PVC or PV have strong smells, however these are double checked before it is sent off to you. These smells will disappear after washing it or wearing it couple of times, so please be aware of that. - Please contact us with in 2 days of you receiving the product. - If you do not send us back the product you wish to return or exchange with in 1 day of contacting us, we cannot return or exchange the product for you. - Only problems regarding size of the product will be considered for exchange, and for shoes, this is only possible if the shoes have been worn only in indoors. - Products that are on special sales event is excluded from further procedures. - If the size you want is out of stock, unfortunately exchange is not possible. * If the product is out of stock, exchange is not possible. * For cancellation, the fee is 30% of the product's original price including the delivery fee, please note that. * If there is a problem with the product's condition, we will take care of the delivery fee as well as the cancellation fee. * Cancellation is not possible for products that have been delivered to us for you from abroad, or is specialized or personalized for you.